Vonda N. McIntyre's book Nevertheless, She Persisted was available from LibraryThing Early Reviewers. Vonda N. McIntyre's book Beyond Grimm: Tales Newly Twisted was available from LibraryThing Early Reviewers. Vonda N. McIntyre's book The Starfarers Quartet was available from LibraryThing Early Reviewers. Vonda N. McIntyre's book Brewing Fine Fiction was available from LibraryThing Early Reviewers. Vonda N. McIntyre's book The Moon & the Sun was available from LibraryThing Early Reviewers. 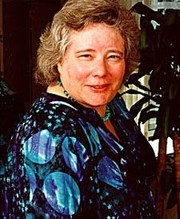 Vonda N. McIntyre is currently considered a "single author." If one or more works are by a distinct, homonymous authors, go ahead and split the author. Vonda N. McIntyre is composed of 22 names. You can examine and separate out names.